One thing you can always count on from Toyota is that top-of-the-line safety systems come standard. Every 2018 Toyota Highlander at Toyota of Tampa Bay is equipped with Toyota Safety Sense™, a suite of driver-assist features that most competitors offer as upgrades. The new Toyota Highlander also offers the Star Safety System, which includes 6 active safety features, such as Enhanced Vehicle Stability Control, Traction Control, Smart Stop Technology® and more. For a safe SUV in Tampa, Brandon or Wesley Chapel, visit Toyota of Tampa Bay and test drive the 2018 Toyota Highlander. The 2018 Toyota Highlander offers a tech-filled driving experience that no other family SUV can. Available Driver Easy Speak, a feature you won’t find in the Chevrolet Traverse or Ford Explorer, uses a microphone to pick up the driver’s voice and transmits it to passengers in the rear seats. Your family can also benefit from the Highlander’s Entune™ Audio multimedia bundle, which includes a 6.1-inch high-resolution touchscreen display, as well as iPod connectivity and Bluetooth® wireless technology for music streaming. Get the modern toys you expect from a modern SUV. Visit Toyota of Tampa Bay and drive the 2018 Toyota Highlander today. The 2018 Toyota Highlander gives drivers their choice of performance with 3 engine options. Cruise with its standard 2.7L engine or upgrade your power with its 295-horsepower 3.5L V6, which comes with front-wheel drive or all-wheel drive options. Get the performance you need at Toyota of Tampa Bay. Come in and test drive the 2018 Toyota Highlander today. If you’re looking for a comfortable ride for the family, pile everyone into the 2018 Toyota Highlander. With 144.9 cubic feet of interior volume, it offers more seating and overall space than the 2018 Dodge Journey and Nissan Pathfinder. Heading out of town? With a full house of family and friends, you’ll still have 13.8 cu. ft. of storage room behind the Highlander’s rear seats. Convenient seating options also allow for optimum use of space. Fold down the third row to open up 42.3 cu. ft. of cargo space while comfortably seating 5. Just you and your road trip buddy? Fold down the second and third row for a maximum storage capacity of 83.7 cu. ft. Whether you’re driving around town or hitting the open road, the 2018 Toyota Highlander is the perfect fit for your family. 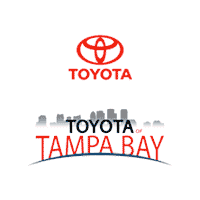 Drivers in Tampa, Brandon and Wesley Chapel, schedule a test drive today at Toyota of Tampa Bay.